My guide to Nothern Ireland. Hi everyone, I'm sure if you've been paying attention to the news lately you will have seen some really bad coverage of Northern Ireland. It really is doing us a lot of damage and lots of us are worried it is giving off the wrong perception about our cities and our people. A few local bloggers have started a tag to write 10 positive things about NI, well these are my favourites. I live in Belfast and I love this place, and these are just some of the many reasons why. 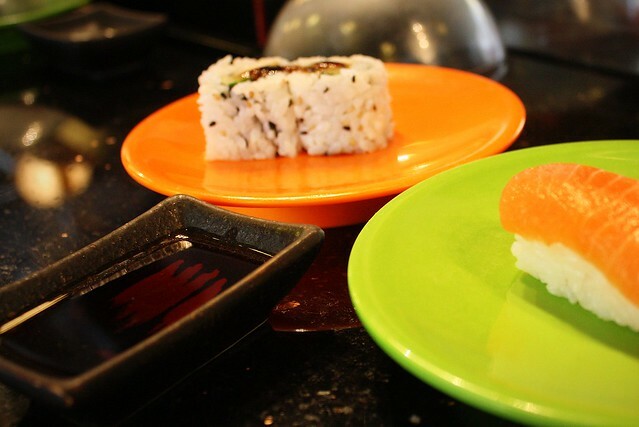 Sakura - An amazing Japanese restaurant on Botanic Avenue with a Sushi Train, they do really cheap sushi at lunch time! Lily's - This is right near my house and near possible for us to avoid if we feel like a nice dinner out! The decor in Lily's is gorgeous, and they do the best chicken wings I have ever eaten. The staff are so friendly and the service is perfect. It's reasonably priced too and you get a lot on your plate! No dainty food here! Molly's Yard - You know that hunger you get when you watch cooking programmes? The food looks too good to be true? That's the feeling I get when I think about Molly's Yard. Their food is so flavourful and the attention to detail really is evident in every course. Ali and I have gone here for a lot of dates and it'll always be really special to me. It's real Irish food, cooked by people who know and love what they do. 2. 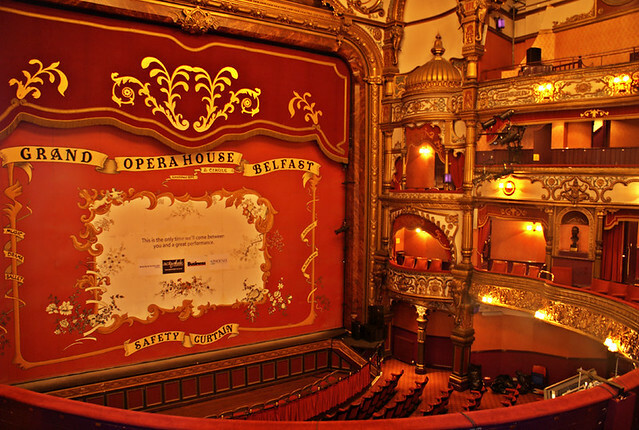 Our Museums, Galleries and Theatres. 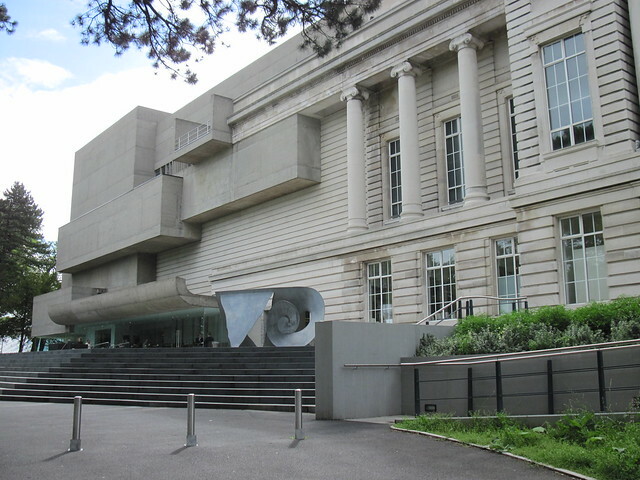 I couldn't count how many afternoons I have spent wandering around The Ulster Museum. We're really lucky to have such a wonderful museum here that's completely free to visit. It's in the middle of our beautiful Botanical Gardens where there's also a Victorian Palm house to explore. My school was across the road from this museum and I used to sneak off there at lunch to escape sometimes. Dinosaurs, Egyptian Mummies, Jewellery, Fine Art - it really is one of my favourite places to be and I always try to bring visitors here! Another place that's very close to my heart is the QFT - Queen's Film Theatre. It's our local independent cinema and I have been going there for years. I took my film BA and MA at Queen's university and all of my lectures took place here. I spent most of my week in lectures in front of these screens falling in love with Jean Luc Godard. After graduating I did a volunteership in their marketing department and to see the hard work and dedication that goes into running this gem makes it even more special to me. 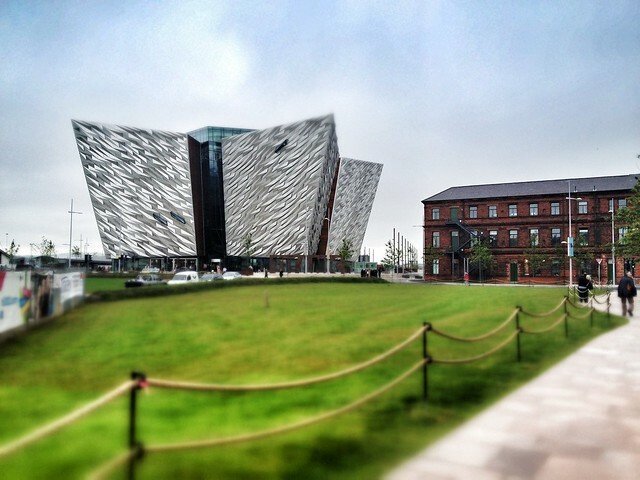 Oh and make sure you check out the new Titanic Centre! Such a wonderful museum documenting our maritime history. I really enjoyed my visit and need another one soon. It's right beside the Paint Hall Studios where Game of Thrones is filmed. Flax Fox from Flax Fox on Vimeo. But of course! As much as I love shopping on the high street for bargains, it doesn't compare with finding something unique from one of Belfast's many independent shops. I'm probably biased here, as it's where I do a lot of my own business for Lily Pink Bakery - but to me you just can't beat St George's Market for really special, quality handmade goods. If you get a chance to visit check out my favourites Blue Door Studio, Tee and Toast, Arbee Cards, Norma Jean Vintage, Vintage Pintage, Hear Hoofbeats Think Zebras, By Sam Mercer and Flax Fox. Instead of a photo here I decided to share this lovely video about a fellow trader at the market which I really enjoyed. Illustration by Tee and Toast. We appreciate the little things, we know how to have a laugh and most importantly how to laugh at ourselves. I'm letting the photos speak for themselves here, you can't argue with that. I don't think I have ever met a person from Northern Ireland who doesn't like Tayto Cheese'n'Onion crisps, or a slice of buttered toasted Veda bread (a dark malt loaf that is basically a fluffy brown cloud of heaven with butter), potato bread dipped in runny egg, soda bread with strawberry jam or some heavily buttered wheaten dipped into homemade soup. Even our Dairy Milk is different here (and better). 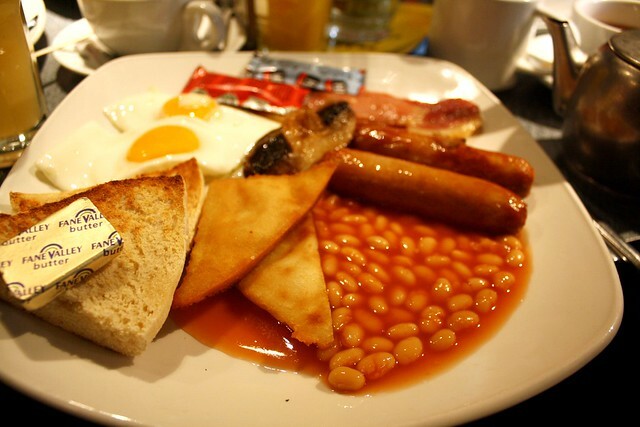 And you can't beat the Ulster Fry - heart attack on a plate! Again, just look at it. This is where I live! It's not where I grew up but I have been living here for 2 years (and one year of my uni life). It can often be thought of as a bit of a posh area full of fussypants as I like to call them - but there really are a lot of bargains to be had here. Drumglass park is right near me and it's got some beautiful flowers and a newly restored bandstand - can't wait to walk Lola there! Our local coffee chain, Clements, is nearby to supply my favourite peppermint hot chocolate, with lots of cream and marshmallows and always in a bowl not a mug! There's always an up and coming band playing somewhere in NI. Anyone who knows music knows the talent that has come from here. My favourite NI band has to be The Emerald Armada. Give them a listen! 10. The bars and pubs. The bars here have so much to appreciate, the architecture, the atmosphere, amazing pub food and often specialty beers and spirits. My current favourite is Tilt which is on the Ormeau Road - their cocktails are amazing (I recommend the Zelda or the Earthworm Jim!) and they also do a pretty mean pulled pork burger. 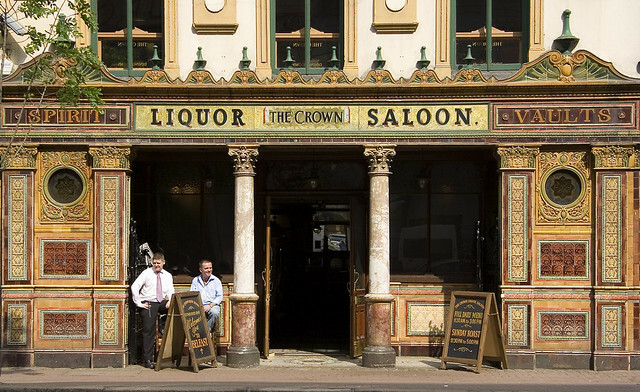 For a more traditional experience visit The Crown Bar and just try to not spend the entire visit admiring the Victorian ceiling, or Whites Tavern which really is a proper Irish pub with a turf fire and just the right amount of roughness around the edges. Great post Claire! I'm going to be up within the next month or so and I demand a proper night out! love this Claire. 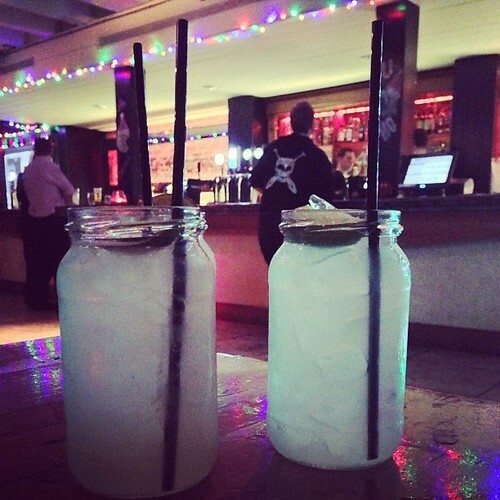 def want to try tilt now for pulled pork and cocktails! Tayto .... drool ... my mum is going to NI tomorrow, I should ask her to bring some back for me! 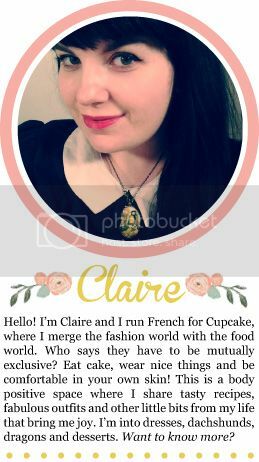 I loved this post Claire! Big up Belfast! it's Beezer! I have never been to Northern Ireland but I definitely want to visit at some point! 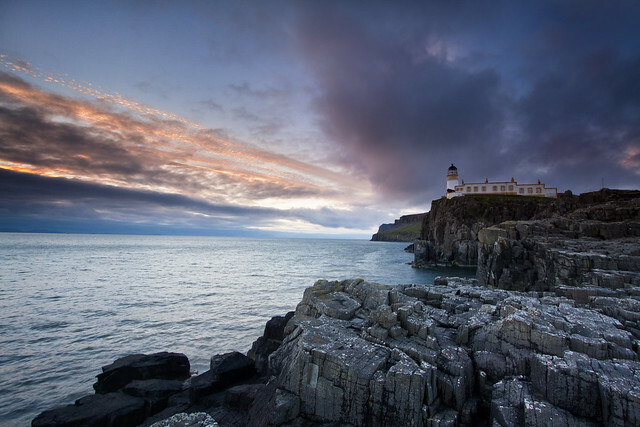 Excellent post, I've only been to NI a few times, mostly just a quick visit because of all of the bad stories I've heard but this post has really opened up my eyes to how silly it is to miss out on seeing such a beautiful part of the world! Oh wow, this makes me really want to take a holiday to NI. Damn my lack of income! Everything looks so beautiful and fun! I've always been a fan of Belfast! Most of my favourite bands are from round about Belfast and have been the reason that I have visited these past few years. You forgot to mention that Irish Fanta is also different and better! I really loved bang bang vintage but I think its moved/downsized and the Rusty Zip, I spent so long in there! I'm just waiting for a band I love to announce a Belfast gig that I can go to for an excuse to return. Oh godddddd, you are cruel! I SO want to go to Belfast but I have no one to go with and I don't want to go myself. 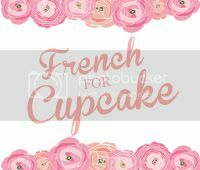 The restaurants look amazing, as does the shopping & of course I'd want to be there on a Sunday to sample your cupcakes! My other half is from Belfast originally and his sister is soon to be moving there! I can't wait to visit :) you've made it look even more amazing! And gotta agree on those Taytos! They sometimes sell them in homebargains over here and we always buy them by the dozen! Great post, I went to Queens and now live in London. I'm feeling nostalgic for rainy afternoons in Clements, an Ulster fry to cure a hangover and cheese and onion Tayto! Ah this is a brilliant post. My boyfriends dad is orginally from Derry and we're planning on doing a mini roadtrip around Northern Ireland using Derry as our base this summer. Belfast is one of our places to visit. I've only ever driven through there down to Donegal so am very excited to explore! I've bookmarked this post for when we start our planning. I'd love it if you have any more suggestions of places to visit :) So far we have Belfast, Derry, Giants Causeway and a beach I can't remember the name off haha! Got a lot to fit into five days! Late to this but such a lovely post, made me well up a wee bit. Love lots of the same places as you, but not even heard of Lily's - just had a look on the site and will be visiting soon!